It makes for great now I want you need easier. The ability to convert from 10 person recipe to two people is great! This App makes cooking and baking for one much easier. Saves money and headaches! I love this app! 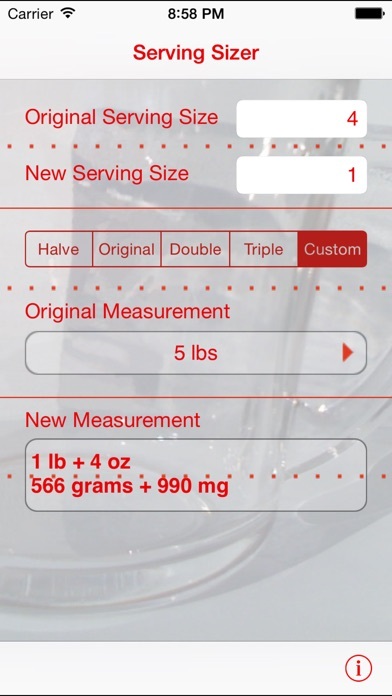 I use it all the time to accurately calculate increases or decreases in recipe size. A must have for any cook! Love this app. Looked for an app like this for a long time. No more guessing about how much of a certain ingredient I should use. Just insert serving size for ingredient, then select double, triple etc. And yup know exactly how much to add. Thanks for making this app. A true life saver. Very handy for quick conversions. Does as advertised. Only wish there was an audible click on the unique horizontal fractions and unit pickers. Perhaps in the next update. Otherwise an app that will quickly pay for itself if you do a lot of cooking. Not practical for reducing recipes! It isn't practical for reducing recipes. It read "too small" when it could have read a dash. 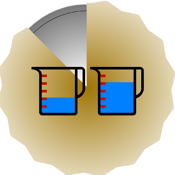 It also changed teaspoons into ml, which I don't use. It would be nice if it went from spoon measurement to spoon measurement, or from ml to ml, etc. so measurements are common for the user. I spent $.99 for an application that claimed to convert portions and with least amount of steps. It failed. I had searched for cook books for one person and found the library and book stores lacking. Now it doesn't matter the cookbook I can size down any recipe to fit my lifestyle. It works extremely well for me. Rotten. Impossible to use. Will be ditching. This application does the job, but the learning curve to figure out how to use it is much too steep. I love this app. We feed the homeless every Sunday and this app has saved me so much time in calculating my recipes. We started out feeding 35 people a year and a half later we serve anywhere between 160 and 250. 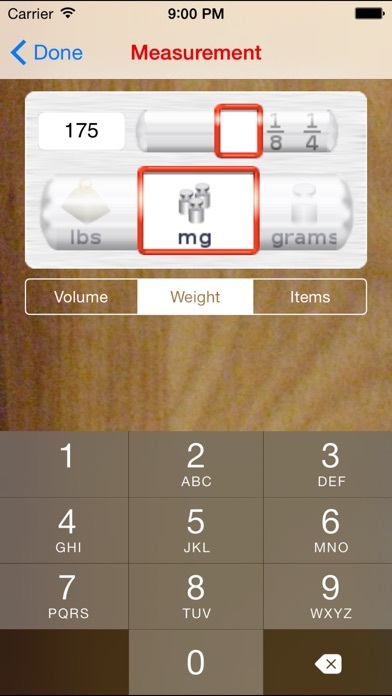 And I never make casseroles so this app has helped me a ton. I have told a ton of people about it. Thank you. When using a scale to weigh ingredients (such as 2 tsp sugar) you will be given a measurement in decimals (1.2 oz, 0.9 oz, 4.67 oz etc) The only way to truly get accurate results in large scale baking and cooking is, of course, by weighing exact measurements from the original recipe to scale up and not "round up or down" However as great of a design this is, they forgot to allow this so taking a recipe for a product 17 oz jar to a kettle fit for a crowd via starting with the weights isn't possible. I like this layout better but I have to use another app to calculate my conversions as this one forgot that scales that chefs use have decimals. However if you only use tsp, T and standard cups and not weights it works well Unfortunately, chefs do use weights in order to scale up accurately for large scale baking. Kludgy interface. Tried to increase a recipe using original serving as 1 and converted as 1.25 and the app throws all kinds of errors about the number (the 1.25) being too large!!!! and then just try to modify the error inducing value!! More errors!!! WTF?? Lamest of the lame. Using original size of 4 and converted size of 5 (same ratio as 1:1.25) worked, but give me a break! Won't be getting the "pro" version as the 99¢ one is not impressive. I can't do math to save my life. This app makes it easy to customize any recipe without having to understand fractions. This app is so cool! No more conversion charts combined with calculators to figure out how to upsize or downsize a recipe. Really like the buttons to quickly double and triple size things. Very easy to use! I only used it a few times, than my son that's 2 wanted 1 pancake and the box makes 8 so I pulled my iPhone out and did this app. And wow it was gr8. Quite a useful app for the holiday season, as well as the rest of the year. It's obvious a lot of thought went into the design, and everything works as it should. With five people in our house, it's great to have an app that will convert things to our needs. Nice work! Does what it says & looks good doing it! Latest update fixed some problems, works great now. I like that it does one ingredient at a time cause I know how to increase the simple things (1 cup tripled = 3 cups) & usually get stumped by one or two measurements. I don't want to spend extra time entering the entire recipe if I don't have to. Saved me a bunch of time and probably a bunch of errors. Nice innovative approach to a classic problem. Very easy to use, and does the job well. If I could enter custom fractions it would be perfect. 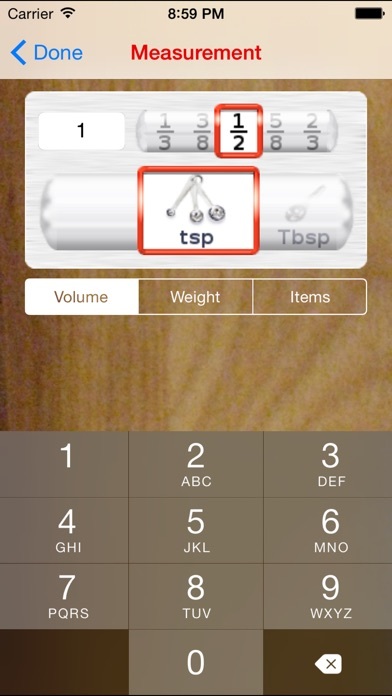 I use this app for ALL of my baking! It's a lifesaver....I'm horrible at math so I need all the help I can get. Is a great help ... totally exactly! Exactly what I was looking for to calculate increased/reduced serving sizes, particularly since I'm just cooking for 1. Simple and easy to use. I couldn’t understand how to use it. So I thought I would plug in what I thought it wanted. When I wanted ounces it was on teaspoons. It was a mess and frustrating. I’m sure there are better apps out there.